Few jazz musicians can claim to be true innovators and even fewer can boast of a performing and recording career that literally redefines the term “jazz”. 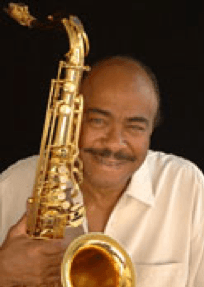 NEA Jazz Master Benny Golson has recorded over 30 albums and is the only living jazz artist to have written eight standards for jazz repertoire. He has composed and arranged music for Count Basie, John Coltrane, Miles Davis, Sammy Davis Jr., Mama Cass Elliott, Ella Fitzgerald, Dizzy Gillespie, Benny Goodman and more, as well as written scores for television, film and radio. He has lectured at the Lincoln Center, New York University and National University at San Diego, and has been sent by the US State Department on cultural tours to Southeast Asia, New Zealand, Indonesia and other places around the world. This humble musical giant continues to impress critics, fans and fellow musicians with his prodigious contributions to the world of jazz.